Content creators, bloggers, web designers, and publishers aim to be a trending topic but with the Internet becoming a hub for almost a trillion websites, one has to be very creative to be visible. With the worldwide web transforming into a visual library, there is a need to level up the search engine optimization (SEO) strategies. These days it’s no longer just about the keywords as visual SEO is coming into play. Research has shown that websites with attractive and informative content were more popular than others, landing high ranks in keyword searches as an aftermath. A lot of changes in algorithm since Google was launched, and each phase brought new challenges for SEO strategists. One thing remained consistent despite these changes, and it’s the traffic and much needed business boost that high search rankings give to businesses. Search engines are bound to alter their algorithm every now and then to keep up with the times. It’s a given. That aside however, everything still boils down to the quality of the content that you put on the website. Visitors will still go for websites that are visually appealing and has what they are looking for. Visual storytelling already made its presence felt back in 2017, what with the sudden boost in rankings of websites with designs that were well thought of and were not too “wordy”. MarketingSherpa stresses that it only takes eight seconds for a visitor to decide if they should pursue or abandon a website. That’s the only window that marketers have to hold their attention and make them stay on the website. As human beings, we are wired to appreciate still and moving images. It is a lot easier for our central nervous system to process things that appeal to our senses which explains why visual storytelling is an effective method of communication. It takes a lot of effort to come up with images and videos that will complement the copy. While we have tools like Canva to help us in designing graphics for our content, a lot of effort still has to go into thinking of what elements are needed for the visuals. What platform will be used? What will be most effective in conveying the message? These are just some of the questions that need to be answered to make sure that the content is engaging. Anything that’s shared on social media is bound to resurface regardless of the date it was uploaded. Ever wonder why articles written thousands of years ago are suddenly appearing on your feed? Simple: one of your contacts found it and decided to share it on their feed. Aside from actual site visits, a brand’s followers or number of likes for each post on social media are believed to have an effect on its search rankings. It is possible that a correlation between the search results and the engagement on social media exists. While it takes months or sometimes, years, to grow your number of followers, you can speed up the process organically by uploading content that is attractive and appealing to online users. These can be articles or tips that are useful, images or videos that tug at the heartstrings, infographics, or inquiries that are venues for discussion. The content has to make them want to take action and click that share button. Of course, this means that the content must be shareable and the share button, visible. 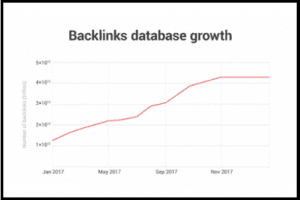 SEMrush database reached 4.5 trillion backlinks in 2017. When a website puts a link that directs the visitor to your page, you have a backlink. In Google lingo, if you have plenty of external websites linking back to your page, then your content must be of good quality because why else would they mention you on their page? If a website backlinking to your website has an authority or is high ranking, this can affect your page rankings as well. Now how do you get these backlinks? Positive thinking and prayers are options that are quite tempting but these will not help you. You need to do the dirty work, get the word out, and communicate to publishers, editors, bloggers, and other content creators to request for a space on their website. You can use this space to feature your content, be it images or videos and have them backlink to you. Does this mean you can just come up with random visual stories and ask other websites to feature you? You need to have visual content that’s authoritative. While designing the content, think of who you’re talking to, the language or tone that they can resonate with, layout, space, font, color techniques and other elements. If you have no skills in graphic design, hire someone who can do this for you. The digital landscape is now dominated by videos. 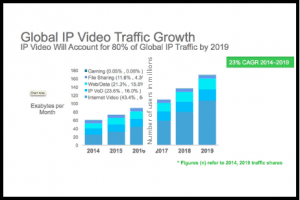 As years went on, the percentage of internet traffic caused by videos gradually increased and the forecast shows that it will make up 80% of the traffic in January 2019. But why are these moving images popular? Videos do an excellent job at inspiring audiences and conveying a message to the viewers. These are also efficient at giving people the push they need to answer to the call for action. Videos are incorporated in Google’s algorithm and are recognized for the quality of their content, making them players in the game of higher page rankings. As a matter of fact, YouTube has already climbed the ranks and is now dubbed as the second largest search engine, which means content posted on this website boosts search rankings. Just take note of the keyword labels that give search engines the information they need to identify who the target audience and main message of the video is. Consistency is key when it comes to SEO. Each content uploaded sends a notification to the search engines that your website has something new. Whenever a search engine visits a website, the page ranking gradually increases. This is the reason why it’s important to come up with a schedule and actually stick to it. When uploads are done on a weekly or monthly basis, one can easily run out of ideas. One solution to this dilemma is to repurpose or repost content. By repurposing content, you add a different twist to a message that was uploaded a long time ago. If you have entries that have too many words, you can choose to create infographics. Turn your videos into memes or gifs. There are so many possibilities, you just have to be creative. It’s tempting to shoot for the moon, but the best route to take when aiming for higher page rankings is know your audience. This will help you come up with content that will appeal to them.